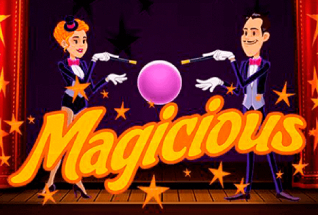 Magicious is a great slot for everyone who wants to play a game with quality. It has a wonderful theme that many players like, good graphics and a smooth gameplay. It’s not a slot with a lot of weird features, since it’s very simple and that’s actually something many people prefer when looking for a new slot to play. Developed by Thunderkick, you can expect the best from it regarding anything. They always develop their slots with a lot of care, and that’s what makes them so good. If you want to play while winning some money, this is the slot for that. With 10 paylines and 5 reels, this is a slot that you can play from 10p to £100, and you can adjust your bet according to the amount you want and can bet, which is great because it gives you a lot of possibilities. It’s obvious that you will win a better payout if you bet more as well, but not all players can bet the maximum amount, and that’s why you can adjust the bet. In Magicious slot you have the opportunity of getting some money and you also have an incredible feature that you can benefit from, but there’s only one on this slot which is something that isn’t always pleasing for many players. However, it is very rewarding so don’t worry about not having more. With it you will get a respin, which is basically a free spin. When it comes to the visuals of Magicious, you have a beautifully designed slot that really captivates you. Due to its magic theme, it’s set on a stage and you have a male magician on the left side of the reels and on the right side there’s a female magician. The symbols are just different in color, but they’re all boxes and magic balls. If you want to get some prizes, then this slot has a lot of them to offer you. This is done by the magicians on the stage. They have wands that can trigger some prizes for you. And, of course, there is also the expanding wild feature. 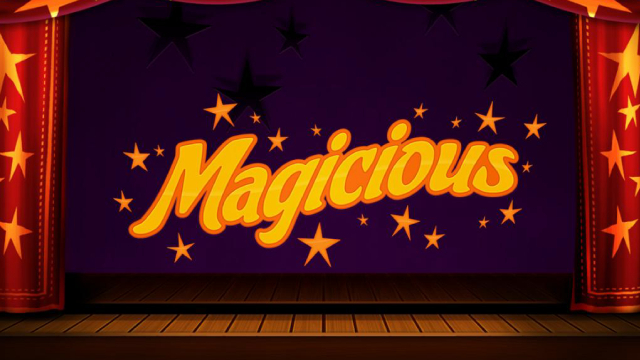 Magicious has incredible graphics, but that’s only natural since it was developed by Thunderkick and they never fail their players when it comes to their slots’ quality. The soundtrack is also great and very calm, with a jazz feel to it. By playing it, you will have a great experience, that’s certain. Mostly because these small things can really change the way you play and the whole gameplay of your slot. It’s obvious that you have a better experience when you have a slot with good graphics and sountrack, so never underestimate the value of these things. Magicious is a slot that you can access on your smartphone or tablet, which is a huge advantage for players who are not always home or don’t have their computer near them. This gives them the possibility of playing anywhere they want to such during a travel, at work, on their bed, etc. It gives them a lot of freedom, and that’s really nice. Having the opportunity to play this slot on a smartphone or tablet really makes all the difference. The theme is very simple and it’s based on magic, with 2 magicians on each side of the reels that can reward you with some prizes by just clicking with their wands on a symbol. Thexpanding wild is also perfect, but it will only appear on reels 2, 3 or 4. Besides that symbol, you have magic boxes and balls with different colors that can also give you some money. When you land an expanding wild on the reels, then it will expand itself filling the reel. And then you will be given an extra spin. If you get 2 of these symbols, then 2 free spins will be rewarded to you. And, obviously, 3 of these symbols give you 3 free spins. If you manage to have all of the 3 reels with wilds on them, then you can really get an incredible payout. Unfortunately there are no more features in Magicious, but don’t be sad because you have a lot of opportunities to win money during your gameplay. The expanding wild symbols can really reward you with a great payout, so that’s a huge advantage. Magicious is a good slot by Thunderkick, and it can be played anywhere at any time. It has only one feature, which can be a downside to it, especially when players are looking for a new slot to play. However, the expanding wild respins can give you a great payout, which is always welcome. The magicians also have the power to give you some prizes by exploding some symbols using their wands, so that’s good. It’s very fun to play, since you will like a magician yourself. If you want to try it for free before betting real money, then that’s something you can do. You will find this slot at many casinos or websites. Try it, you will fall in love with Magicious.